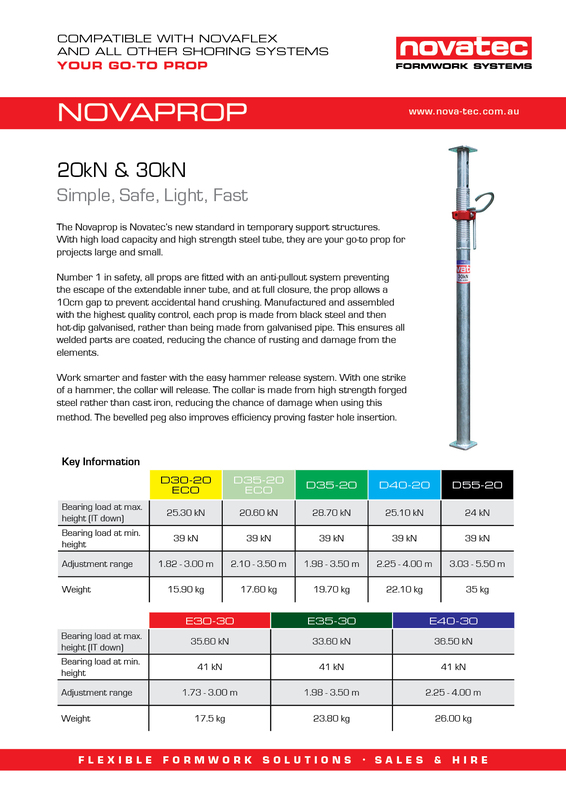 The Novaprop is Novatec’s new standard in temporary support structures. With high load capacity and high strength steel tube, they are your go-to prop for projects large and small. 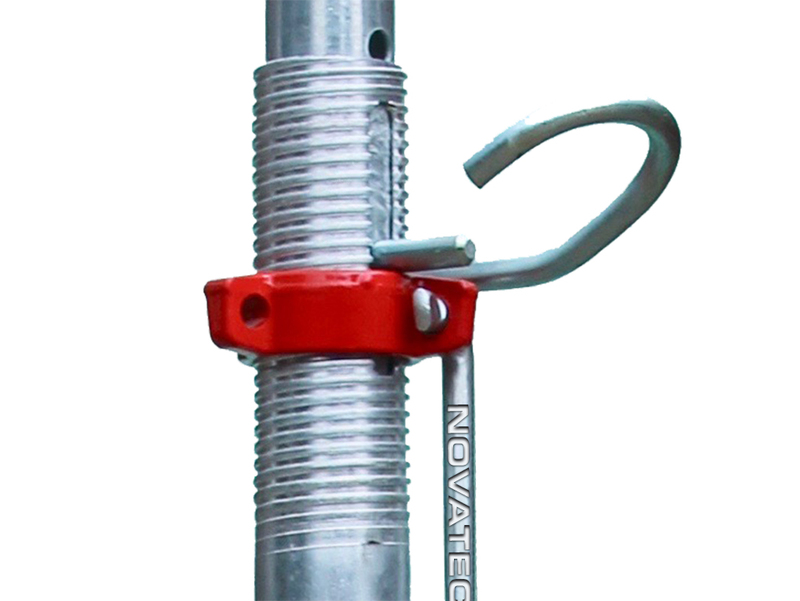 At Novatec, safety is our number one priority. All props are fitted with an anti-pullout system which prevents the escape of the inner tube, and an anti-crush system which disables the prop from fully closing, leaving a 10cm gap for hand protection. Manufactured and assembled with the highest quality control, each prop is made from black steel and then hot-dip galvanised, rather than being made from galvanised pipe. 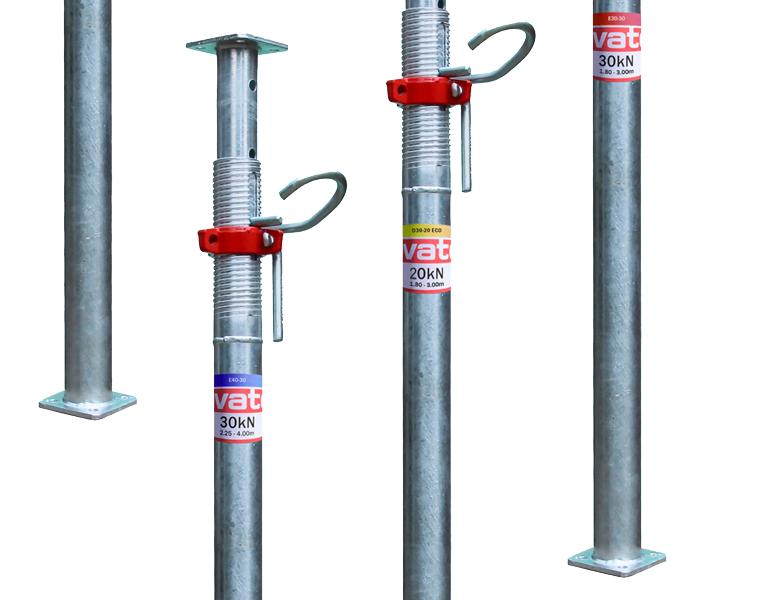 This ensures all welded parts are coated, reducing the chance of rusting and damage from the elements. Work smarter and faster with the easy hammer release system. With one strike of a hammer, the collar will release. The collar is made from high strength forged steel rather than cast iron, reducing the chance of damage when using this method. The bevelled peg also improves efficiency with faster hole insertion. hot-dip galvanised ensuring a longer lifetime. Lightweight and convenient for increased worker output. 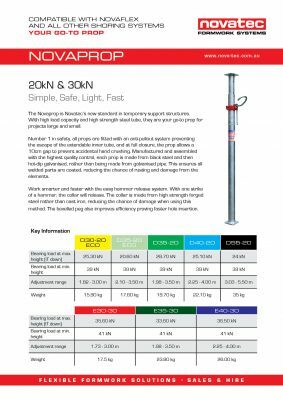 High load capacity - 20kN and 30kN. Anti-pullout system and Anti-crush protection of 10cm when the prop is fully closed. Available in various lengths from 3m to 5.5m. We offer embossing of your company name onto the prop handle and custom painted collars in your company colour.